Loctite ® Fixmaster ® Underwater Repair Epoxy is a putty-like material that is ideal for plumbing, irrigation and marine applications because it is unaffected by chlorinated or salt water. Will stick to wet surfaces. 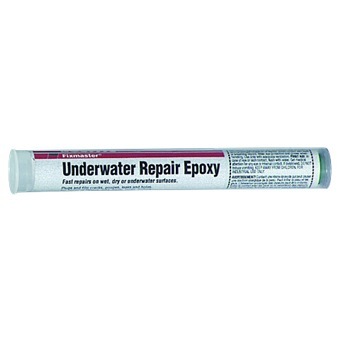 Ideally suited for underwater repairs.